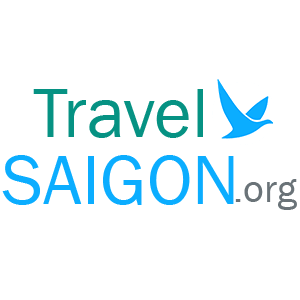 Crescent mall is strategically sited on Nguyen Van Linh Parkway. 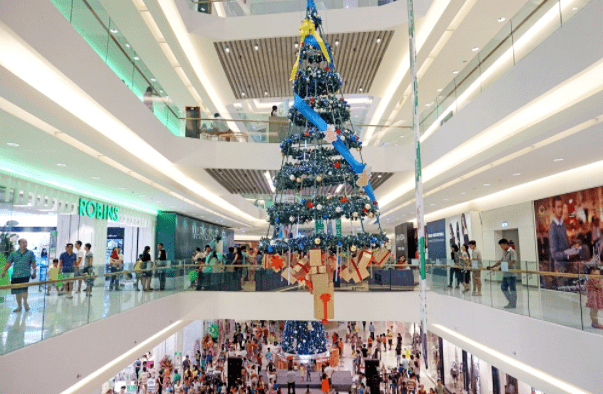 It is a newest a newest shopping center in Ho Chi Minh city offering approximately 45,000 square meters of retail space. It is proud to be one of the first international standard shopping complex and be able to deliver the best and most unique shopping, dining and entertaining experience amidst the tranquility of the lakeside environment where it sits. The Crescent brings a unique design, fantastic customer service and an array of upscale retail outlets together under one roof. In addition to international brands, some of which are leading local brands opening their first store in Vietnam. 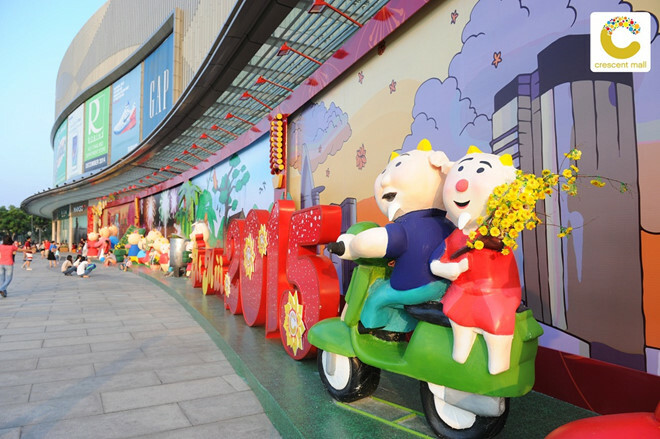 Crescent shopping center provides a wide range of services namly lift & escalator, food court area, modern movie theatre, parents room and so on. To mention a few,there are Robins’ Department Store of Thailand’s Central Retail Corporation, CGV Cineplex & international retail stores such as Mango, Nike, Marks & Spencer, GAP, Calvin Klein, Oasis, Warehouse, etc. the food court is famous for a variety of food & beverage stores including The Coffee Bean &tea leaf, Gloria Jeans Coffee, Phuc Long, Highland Coffee, especially the Food Court Lakeview at the 5th with a breath-taking view of Crescent Lake & Crescent Park. Interestingly enough, with the spacious environment, Crescent Mall has become the heaven for some special events like concerts, shows, fashion catwalks, art cultural exhibits, children’s activities. 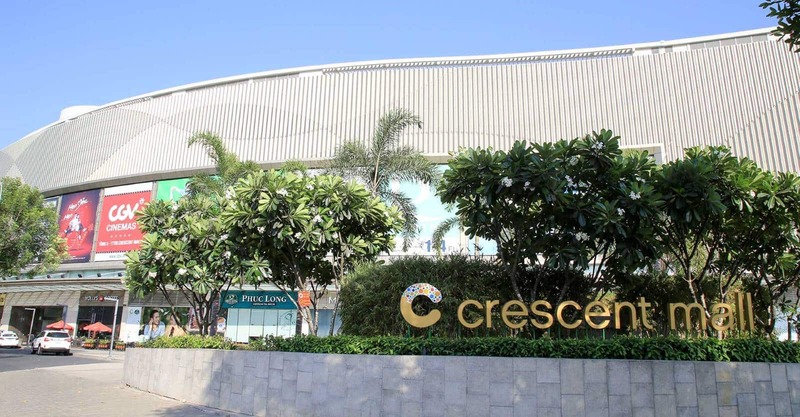 Crescent mall in Phu My Hung – a thriving new urban area is sure to meet customers’ expectation with its range of services. In addition, having the location nearby the front lake make it become a thoughtful landscaping destination completing customers’ shopping experience.